With American miners still succumbing to black lung disease, the Mine Safety and Health Administration (MSHA) has proposed a plan to reduce the number of such deaths through the stricter regulation of mining sites. But at a congressional committee meeting last week, Sen. Rand Paul (R-Ky.) voiced concern that the new regulations may not be worth the cost to coal companies -- even though pockets of his state have been designated black lung “hot spots” by the federal government. In a hearing of the Senate Health, Education, Labor and Pension Committee, Paul also asserted that the number of black lung cases has been on the decline. But according to the National Institute for Occupational Safety and Health (NIOSHA), in recent years such incidences have in fact been on the rise in certain areas of coal country. "Every regulation doesn't save lives," Paul said in the hearing, later adding that the regulations so far have done a “pretty good job” of reducing black lung. "There is a point or a balancing act between when a regulation becomes burdensome enough that our energy production is stifled. We have to assess the costs of regulation and whether they save lives." 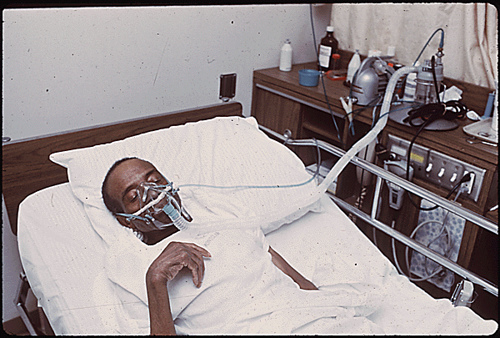 According to Paul, regulating coal companies to reduce the occurance of black lung - also known as coalworker's pneumoconiosis - is too costly for the coal companies and the health of the miners, plenty of who make up Paul's constituency, should be placed at risk so to not interrupt America's energy supply.